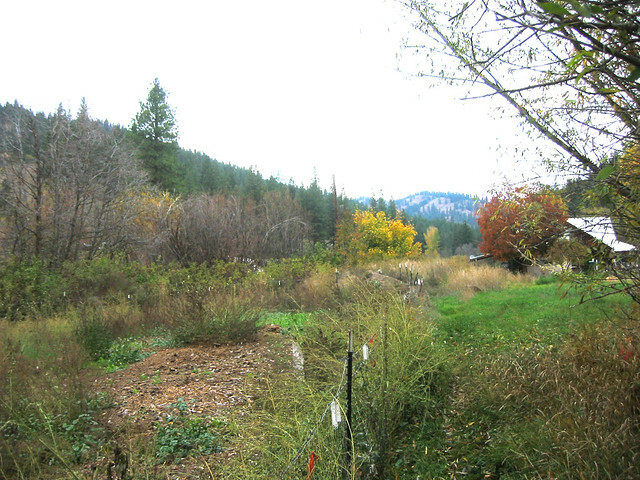 Eagle Creek is a 6.5 acre easement located just northeast of Leavenworth on the 600 acre Eagle Creek Ranch. Eagle Creek flows through the property and creates a low, brushy streamside zone. The larger trees in this zone are willow, alder, and aspen, with a brushy understory of red osier dogwood. This habitat provides refuge for songbirds, sapsuckers, and woodpeckers, among others. Owners Michael and Susan Hagan run trail rides, wagon rides, and sleigh rides into the National Forest from their property. This easement was the final piece of a complex land puzzle. The city of Seattle owned the 600 acre property and needed to sell it to utilize the funds to protect the city’s Cedar River watershed. From 2000-2004, the Trust for Public Land facilitated the purchase of 595 forested acres by the U. S. Forest Service, and the donation of the 6.5 acre easement to the Chelan-Douglas Land Trust. The combination of the easement and sale to the Forest service protected 600 acres of critical fish and wildlife habitat and allowed the local operator of the ranch to continue business operations.